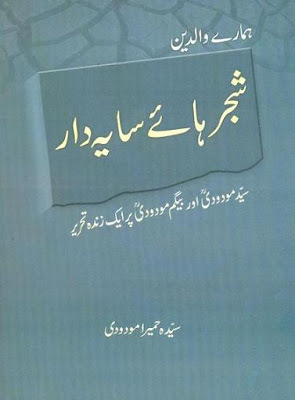 This post is an excerpt form a Book: Shajr Hae Saya Daar by Syeda Humera Maududi, daughter of Maulana Syed Abul Ala Maududi (RA). The book is actually a compilation of memories of her parents, and this specific excerpt is very much related to the current situation of Muslims all over the world particularly in occupied lands. Book Authoress, Syeda Humera is recalling an incident that occurred one evening in 1978 with her father, Maulana Maududi. It is about a dream that a GD Pilot of Pakistan Air Force narrated to Maulana Maududi, his reply in the Light of Ahadith-e-Nabvi (S.A.W.) and decisive role of Pakistan Air Force in upcoming wars between Truth and Falsehood. Note: A similar excerpt about Arabs is also present in Zauqi Shah (RA)'s Discourses. It will be posted soon with Urdu translation then you will see the resemblance in both posts. Please also read excellent English translation of this extract by Baktar-e-Noor. In 1978, I (Syeda Humera Maududi) had returned to Lahore from Jeddah to spend summer vacations when this strange incident occurred. It happened so that after Maghrib, two Squadron Leaders of Pakistan Air Force came to see my father. As usual father was busy at his work in his office so he called them in there. One of the gentlemen who appeared quite perturbed started thus: ‘Maulana, I had a dream which has rendered me greatly troubled upto such extent that I can neither sleep nor eat or do anything with concentration! "I saw that I have gone to 'Madina Tayyaba' only to see that whole city has been completely destroyed after heavy bombardment. 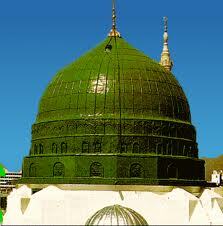 Nor the Masjid of Prophet (SalAllaho Alehe Wassallam) remains neither the Green Dome is there anymore. All houses and buildings have been reduced to rubble. When I reach the spot where Roza-e-Mubarak is situated I see Nabi-e-Karim (SalAllaho Alehe Wassallam) offering prayers outside his tomb. (Then suddenly) I hear some voices as if many people are talking nearby; when I look around I see a staircase going down into a basement. I descend into the basement and am only half way through when I see six or seven Jews, clad only in underwear, wielding large knives are butchering human corpses and piling up the butchered limbs into heaps; while many more corpses are dangling about the walls (like slaughtered meat). (I at once realized that) These corpses are of the people of Madina! As I see this I flee upstairs in terror unless I meet a similar fate. When I get out of the basement, I see that Nabi-e-Karim (SalAllaho Alehe Wassallam) is completing his salah after ‘Attahyat’ and ‘Salam’. Then He (SalAllaho Alehe Wassallam) looks at me and says: “Don’t worry; this meat will not be sold!” At that moment I woke up." (Being a practical man) My father did not dwell in the world of dreams nor did he use to interpret them. He belonged to the real world and invited the people into the fold of Emaan on logical grounds. Despite this, he was in great shock to hear this dream as even saintly people would scarcely be blessed to have it (because of its intensity, let alone to a seemingly irreligious young man)! How come this clean shaven young pilot has been chosen for this message? Why a star traversing Mujahid of Pakistan Air Force was singled out for this dream instead of some care taker of a shrine, a scholar of compromising temperament or some renowned religious personality? One thing is evident enough is that in the future, responsibility of leadership of Ummah will be taken up by such gallant young men, and these youth are the very people who will lead the defence and protection of Haramain Sharifain (Two Holy Cities). Father told those fighter pilots: ‘There is a Hadith of our Beloved Prophet (SalAllaho Alehe Wassallam) narrated by Hazrat Abu Huraira (RAA) which says: “When wars upon wars will rage, Allah will raise a non Arab nation which will be superior in riding (mobility/maneuvers/tactics) and weaponry. They will be entrusted by Allah to support His Deen.” (Mishkawt). Then he said: ‘this dream also points to a Hadith which is narrated by Hazrat Abdullah bin Umro (RAA): “[In End Times] There will come such people who will be swift as birds and ruthless as beasts.” (Mishkawt). Today we can interpret this Hadith by (rightly) perceiving the warplanes which target and annihilate children, elderly and the women of their (designated) enemies with unprecedented relentlessness and brutality (Remember Shock & Awe Campaign of american crusaders in Iraq War. In the dream, Madina Tayyaba is shown to be devastated by seemingly carpet bombing). No honour, life or property will be safe from their onslaught. are two different plains. In servitude Angels take the lead – but O Allah! more from the creatures of dirt!" I am convinced that the stage has now been prepared for the arrival of Dajjal (Anti Christ) and Hazrat Essa/Jesus (AS). As our Beloved Prophet (SalAllaho Alehe Wassallam) said in one of his speeches: “Since the day Allah created this world and mankind, no trial is as greater as the trial of Dajjal (Anti Christ/False Massaiah)----He will emerge from the middle area of Syria and Iraq and will quickly move to spread unrest in all directions, he will be everywhere, on right and on left. That is why O servants of Allah, be steadfast. Hark! The trials he brings will include Heaven & Hell. In reality, his hell will be Paradise and his paradise will be Hell. When one of you chance upon getting thrown in that hell, he should seek help from Allah and recite initial ten (10) verses of Surah e Kahf, the fire of (that hell) will be rendered as cold and safe for him as was for (Hazrat) Ibrahim (AS)”. (Mishkawt). When I refreshed my memories regarding my father, this dream became more lucid to me. The era we are living in is an interpretation of that dream itself. The destruction of Iraq & Afghanistan, bloodshed in Kashmir and Palestine, the brutality perpetrated in Abu Guraib and Guantanamo Bay prisons, slaughter of Chechen and Bosnian Muslims deny any room for doubt! There we see a saga of sorrows of the followers of our Beloved Prophet (SalAllaho Alehe Wassallam) and on the other hand we see glad tidings and invitations to act. This all give us reasons for learning. The strength and support to be received from non-Arab lands of which father informed the pilots, has also been corroborated by a statement of former Army Chief of Egyptian Armed Forces, General Almushir Abu Ghazala; which was published in a popular newspaper Daily Al-Ahram. He says: ‘The Armed Forces of Pakistan are the guarantors of the safety of Arabs because they can hit even Israel (with their expertise and weaponry). That is why the Arabs should help Pakistan in her economic crisis. Success of Pakistan is the success of Arabs.’ Then again another popular daily of Arab world Al-Ittihad published his analytical article which says: ‘Pakistan is a great military power owing to its nuclear warheads and if Pakistan is harmed all Arab world will feel the consequences of it.’ These statements of General Abu Ghazala further elucidate the right explanation of that dream. Brother, no one knows what is hidden in the veils of destiny. We can see future in the light of Ahadees e Mubarika. how can madina can destroy? Well done, thanks. InshaAllah All plans by enemies be reversed upon them. Madina ki hifazat krna har musalman ka farz hai, ye sirf army ya air force ki duty nahin. Every body should be one-man army. Agree! :,( you made me cry! one aonther thing that Madina and mecca can be destroyed they are secred palaces ? unhe ak din lazi taba hona hai? You, my bird of the holy shrine, shake your wings before you start to fly. 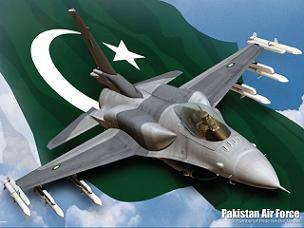 Insha'Allah PAF will fight with Dajjal.... PAF have been already fight with Israeli air force.... When Sufyani (Muslim Dajjal) will emerge from Syria then he will attack Iraq and Hijaz. He will be such a tyrant that he will kill the children and rip out the bellies of women. He will attack on Median and Mekkah. Insha'Allah army (air force) of east will fight with him and then with real Dajjal. The army of the Sufyani will march from the direction of Iraq to seize the Mahdi, however, when they reach the desert near Dhi Hulayfah the ground will swallow them up. However, two will escape to convey the news but even when he learns of the occurrence he will not be deterred. There will be some people from the Quraysh who manage to escape from him to Constantinople, which will be at that time under the control of the Non-Muslims. When the Sufyani asks for their return they will be returned whereupon not only the escapees' throats will be slit but those like them. He eats rocks and a mountain of smoke precedes him and people ride inside him, and not on his back. This means that as he traverses the earth it moves under him like a green expanse. Another hadith mentioned that the Dajjāl’s donkey eats fire within its body and it has an opening from which fire and smoke emerge. It moves with a very high speed over land, oceans and skies. Its color is very white like the moon. Between one step and another is like the walking of a day and a night. On earth its length is ~180 ft.
We may possibly infer then that the Dajjāl’s precursors of this time will use airplanes for their evil work as described clearly in hadith of the Prophet (s). We see this today where these arch-deceivers use airplanes to hijack and kidnap and kill, and this has been their modus operandi now for over 30 years. These are clear descriptions of an airplane where the ears are the wings and the color described, aqmar, means pearly like the moon – the color of many aircraft today. This post is literally awesome. Also thanx to Baktar-e-Noor for excellent translation. The dream gives me the shivers as all this carnage is yet to come. Is it possible that Jews (as they are well versed in spirituality and future knowledge and plan for atleast the next hundred years) are deliberately targeting Pak army as they know that this army will play a decisive role in the final defeat of jews - Dajjal - therefore they are trying their level best to demoralise it, causing it to shed its potency in case of any war. What we see today is army bashing from all quarters. It means that all involved are working on the same agenda and are not amongst us. Exactly, those who are weakening Pak Army is not seeing its role in coming wars and in greater perspective. But Pakistani Nation is well aware of what is going around. Only a bunch of few traitors who think Pakistani Patriots will not hit back, if any of the Holy land is invaded. Thanks dear brother for this important information, well, this thing come into my knowledge for the first time. @Baktar-e-Noor, Please note this correction. Need to change in Translation. When I checked Az-Zawra at google map, it is a place near Madina so slippery mountain seems to be correct for Ahjar Azait. Yes you are right, i checked it also, it was a place near Quba, Holy prophet used to visit it for the supplications of Rain....It seeems that my memory mixed this thing with another ahadees....Thanks for the correction again...Jazak Allah. Thanks for this post. I was read it once several years ago and I can't remember it. But today in this post. Great work. @Faqar-e-Ghayoor : I want to email some information (very good one) which clear any doubt in our minds about next few years, Please kindly write your email address here. Muslims should decide about future in the light of Quran & Hadith. Muslims must unite. There is no other option left. attention to this Ayat of the Quran. aaj k express mein oriya maqbool jan ne Maulana sheikh nazim QaddasAllahu Sirrahul Aziz ka naam liye bagher unn ki pesh goyi naql ki hai,wohi wali jis ka title hai 'all regimes will collapse in 2011'. mujhe kai dafa shak hua hai k oriya sahib iss blog k visitor hain aur Sheikh NAzim QaddasAllahu Sirrahul Aziz ki videos bhi dekhte rehte hain.WAllahu Aalam. When I first read that dream some 5 or 6 years ago, it was in the month of June when atmosphere seemed to be burning with intense heat, but that dream chilled me to the core, the goose bumps made me want to turn off the air cooler which previously failed to curtail the heat wave. I was terrified for a long time. • The destruction of Madina Tayyaba represents the destruction of Muslim lands by the hands of aggressive forces of Evil, evident enough through campaigns of Shock and Awe, carpet bombing, Tora Bora, drone attacks etc. • The people of Madina Tayyaba who were shown to be mercilessly slaughtered were representing the whole Umaat e Rasul Allah (SalAllaho Alehe Wassallam) which suffered massive carnage throughout modern history, especially our brethren in Iraq, Afghanistan, Palestine, Pakistan, Bosnia, Chechnya etc. by the hands of people directly used by Jews/Zionists. • The term of ‘Long Knives’ in particular intrigued me because prior to reading that dream I knew that this term was used by natives of North America for early European colonists and then it was widely used for Americans by the native Red Indians. So we should remember that the real brains/puppet handlers are actually the jews/zoinists who always used and still are using ‘Long Knives/Americans’ to do their bidding and pile up the slaughtered corpses of the people of Madina (Ummat e Muslima). Recall the incident of Abu Ghuraib where inmates were piled up naked by the American guards and then pictures were taken. Piled up/butchered corpses of the victims of the atrocities of Dasht e Laila and Qila e Jangi (I have pictures of them). Piled up, butchered corpses of the victims of drone attacks, the 24 soldiers of Salala Check Post (which were killed one by one, individually and with ease), Mass graves in Bosnia, Chechnya and in Kashmir leave no room for doubt (later three were perpetrated not by Americans but they always had their approval as it is the Zionists who controls them (Americans) just like a Golem is controlled by a Rabbi. The Israelis consider their borders to be from River Nile to River Euphrates: both lands have been ravaged and controlled by Crusader Armies of US/NATO as NATO controls Libya effectively and United Snakes of America tramples Iraq. • A small number of half naked but strong Jews: points out to the actual nature of Jewish control over the affairs; governing murder of Muslims. Jews are few, but with effective control and access, they use ‘Long Knives’ with ease and without any scruples. Half naked bodies represent their brazenness and mocking of truth and justice even if the world is aware of the naked aggression of Israel in the Holy Land and around the world (where its spies, using passports of other countries murder Muslim leaders and its forces kill Turks in open seas with impunity). • In the Hadith of Hazrat Abu Zar (RAA) the hunger may be caused by the siege of Madina initiated by force of Dajjal with continuous air raids/artillery barrages (from afar) and harassment of the citizens of Madina. But he will not dare to enter the city the gates will be protected by Angels themselves. • As Bro Faqar pointed out, Hazrat Zauqi Shah’s malfuzat speak about a similar dream (which has been posted already: the Occupation of Jama Masjid Dehli by British army) and a dialogue between him and the Beloved Prophet (SalAllaho Alehe Wassallam). When brother Faqar posts that Makashifa of Hazrat Zauqi Shah you will note marked similarity between the words Our Leader (SalAllaho Alehe Wassallam) says in this dream and the words uttered by Him in that Makashifa. Perhaps this is because both elders, Hazrat Zauqi Shah (RA) and Maulana Syed Abul Ala Maududi (RA) belonged to the Chishtiya Chain of mystics and India is regarded by Chistiya elders as the ‘inheritance’ of Chistiya Saints. • Prophesy Research Center in GHQ or not! If the leaders of our Armed Forces are paying enough heed and if indeed they consider themselves Muslims and the protectors of Muslim interests, then they should remember that thru this dream they have been called upon to action by none other than our Beloved Leader Syedna Muhammad (SalAllaho Alehe Wassallam) himself. It is also strongly suggested by one of the most practical men, i.e. 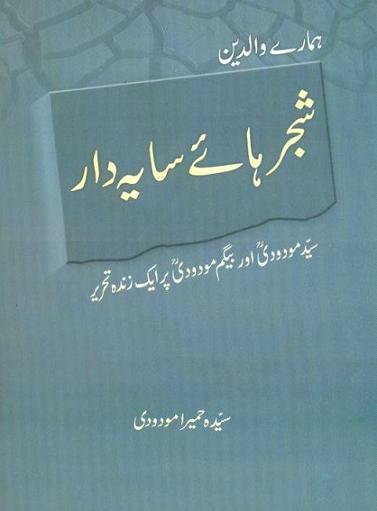 Syed Abul Ala Maududi (RA). It indeed is time Takbeer should be called out in the Cockpit of a Warplane, in the Turret of a Tank and in the Bridge of a Warship…throughout the skies, the lands and the seas…Allahu Akbar! Thanks Brother for further explanation of the dream, Its awesome, i think you have explained whatever is missing in this post. InshaAllah that Takbeer will be called out. Very precise, very articulate and very apt. I wish i have the same insight!! post your name,your age when you saw this dream,your gender,and the year or month (if you remember it) when you dreamt,along with the dream for a precise interpretation. Not only GHQ peopl dont believe on such evidences,but if they begin to believe ,every second or third person will come with his dreams.So it will be hard to believe that which dream should be accepted and which should be rejected. One may question,why would one link his dream with the ziarah (i.e vision of) Prophet Salla'l la ho alaye hi wasallam? The answer is taht if in the past people can attribute false forged narrations to him,what is the position of a dream in comparison to narrations and traditions which are pat of religion.Anyone who is blind for fame,can do it. To measure the authenticity of any such claim the claimant should be examined/ascertained. If the person is reputable/honest then his claim should be accepted and if not then it should be left. If we start to judge authenticity of the claims by Hazrat Bagh Hussain Kamal (RA), Hazrat Shaikh Nazim Quddus sirrah, Hazrat Zauqi Shah (RA), Maulana Shabbir Ahmed Usmani (RA) or even Dr. Safdar Mehmood for eg. then we must have to let go of this blog altogether because it discusses these very predictions/makashifats and dreams! If Shaikh Nazim's claim is questioned regarding zyara of Imam Mahdi (AS) because as you say: "in the past people can attribute false forged narrations to him, what is the position of a dream in comparison to narrations and traditions which are part of religion. Anyone who is blind for fame, can do it", then we can let go of this blog. But on the other hand I, wholeheartedly believe what Shaikh narrated to be absolute truth (not because it was confirmed by another source, but because I trust Shaikh Nazim to be a true Waliullah!). If GHQ does not take notice of the authentic Ahadith of Prophet (SalAllaho Alehe Wassalam) as credible intelligence of strategic importance (not dreams or sayings of saints, as per your insistence), then it is us people who should prepare and warn people of the times to come. Although I don’t see that unnamed pilot of Pakistan Air Force rising to fame after narrating his dream to Syed Maududi (RA) neither did Syed (RA) ever mention it ever in his works (why? perhaps he wished to avoid this very slander!). It was many years after his passing that his daughter remembered this incident while she was recollecting her memories about her parents and published it in her memoirs some 7 or so years ago and she is yet to rise to fame as well! I bet most of the brothers and sisters never heard of it before it was posted here. about my dream in short and simple words. My dream: i saw in the dream the strange signs of qiyamat in the sky and i was very concern about that i draw attention of one my colleague about the signs in the sky but he payed not much heed to it and busy in normal routine life.Than i saw a meteor glowing like red hot (angara) down to earth and it collided with the earth with a huge explosion i woke up in awe and feel like hearing actual sound of the explosion. "Seeing the stars falling down on earth then disappearing, or the lights of meteors entering the earth atmosphere is a dream, represents a great destruction and death..."
Nasa's 2013 solar flare warning: how much do we need to worry? InshaAllah, I will send that info to you after receiving. Please wait one more day, it will be on blog for every one with detail. Yes, I received it and it will be posted on blog tomorrow. InshaAllah. Please wait one more day. I can't believe it ! Sometime back i saw same dream that i sm driving and all of a sudden i see meteor fireballs falling out of the sky upin the ground and roads, i see myself in fear whilst driving and nearly miss a meteor fireball ! I see. The place i presently live in, which is london. Stars on the Earth : Stars falling from the sky onto the earth means that part of the earth will be visited with some calamity. Salam Alykom my dearest brothers and sisters, please help me get this book Shajar hai saya daar by Hamira Mododi (daughter of Maulana Mododi) Jazakallah Khair InShaALLAH!